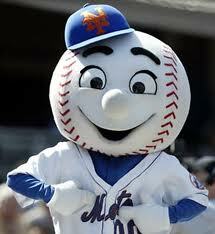 Mister Met approaches 50! Mets Golden Anniversary conference is at Hofstra University this month. Check it out! Mets 50th ANN. Join former National Baseball Hall of Fame researcher and librarian Russell Wolinsky at Hofstra University, April 26, 6 p.m., for his lecture on “The Era between June 15, 1977, and June 15, 1983.” It’s part of “The 50th Anniversary of the New York Mets.” For details and to register click above or call 516-463-5669. This entry was posted in Baseball and tagged National Baseball Hall of Fame, New York Mets. Bookmark the permalink.